“A thing of beauty is a joy forever,” a famous artist once said. 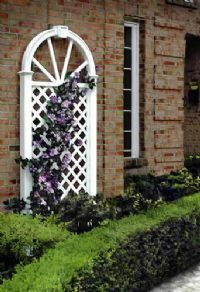 The Nantucket Wall Trellis offers your home that necessary beauty. Backed by a 20 Year Warranty!